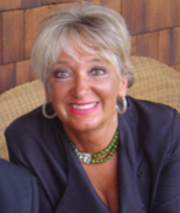 Ocean Pointe, Realtors is pleased to have Patricia Sumer Abrahamson on its award winning sales team. She is a graduate of Chestnut Hill College, a former Gifted and Talented Teacher and Department Chairperson for the East Hanover School District. When she is not listing or selling houses she’s consulting for Gemini Restoration, a third generation building company. She previously lived in Spring Lake and currently resides with her family in Sea Girt. Pat has vacationed at and owned homes in Sea Girt and Spring Lake for over 35 years. Patricia is married to a NJ licensed builder and catastrophe restoration expert giving her a wealth of knowledge and experience in the housing industry. Consider Patricia your Sea Girt & Spring Lake expert! !